Ayo, the Managing Partner of GA Capital Limited, a Financial Advisory Firm, is an award-winning Chartered Accountant, a Fellow of both the Institute of Chartered Accountants of Nigeria (ICAN), the Chartered Institute of Taxation of Nigeria and an MBA (University of Navarra IESE, Spain) holder, with broad skills-set and cross-functional expertise in Public Policy Making, Public Finance Management, Public-Private Partnership (PPP), Corporate Strategic Vision & Policy Development, Project Finance, Treasury Risks Management, Investment Banking, Asset Management, Financial Advisory, Stakeholder/Customer Relationship Management, Strategic Planning, Financial Control, Domestic Banking Operations, Financial Reporting and Management Accounting as well as Auditing. 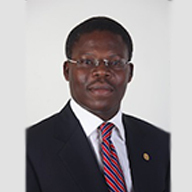 He is an alumnus of the prestigious London Business School, Harvard Kennedy School of Government and Lagos Business School. He has close to 30-years post qualification hands-on experience in diverse sectors and multi-cultural work environments including manufacturing, fast moving consumer goods (FMCG), investment & commercial banking, insurance, project finance, telecoms, infrastructure and government. He is a former Honourable Commissioner for Finance (HCF) in Lagos State with concurrent responsibility for the oversight of the Office of Public-Private Partnerships. In that capacity, he doubled as the Special Adviser to the Governor and the pioneer Director-General of the Lagos State Office of Public-Private Partnerships, the Agency driving the Government-to-Business (G2B) collaboration anchor policy thrust for the acceleration of infrastructure delivery and provision of social services towards the actualization of the Babatunde Raji Fashola Administration’s vision of making Lagos Africa’s Model Megacity.